No amount of teasing is ever going to change Cheryl Hauser’s mind. She is and always will be a Nats fan. Hauser, who was born in DC but lived in Waldorf, Md. until she was 7, grew up in Annandale, Va. with a family who loved to go to Orioles games. Each summer Hauser and her family and friends would take trips to Baltimore to watch baseball. It was their family’s bonding activity. Imagine a quiet Sunday morning. The city is silent from the few inches of snow that stuck to the ground yesterday. Most everyone’s either still asleep or in the comfort of their own homes trying to keep warm. It’s the last day of the first month of 2010. So, you choose to lounge around. Huge mistake. Why? You’re missing out on the most pristine, once in a lifetime moment baseball fans in DC have had since the game’s big move back to town. 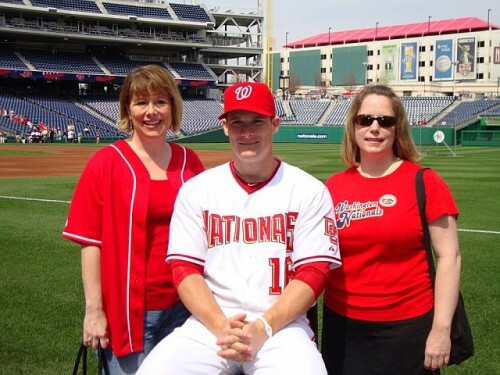 NatsFest 2010 was — in a word — awesome. Although it’s easy to doubt their dedication during the season, fans turned out in the hundreds (and early!) for a fun-filled fan fest hosted by their favorite men in red. Nationals fans of all-ages wrapped themselves around the park entrance for close to an hour before the 11 a.m. start time of NatsFest. Their devotion was somewhat shocking considering their team’s losing for the past five years, but let us all remember that the Nationals are still teenagers by baseball standards. They’re new. They’re in their awkward, “growing-up” phase. Can you really blame them for trying to find out who they are among all of the other big kids playing the game? Get ready Nats fans! 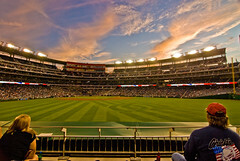 The 2nd annual NatsFest is scheduled for Sunday, January 31st and the team is ready to show their fans and their city some love before taking the field at Spring Traning 2010. Fans will get the chance to take pictures with their favorite sluggers, fielders, pitchers and catchers and even get a few autographs in the process. And, for the older fans with a few more thoughts on their mind, there’s a Q&A with the Nationals Executives (and few TBA special guests). 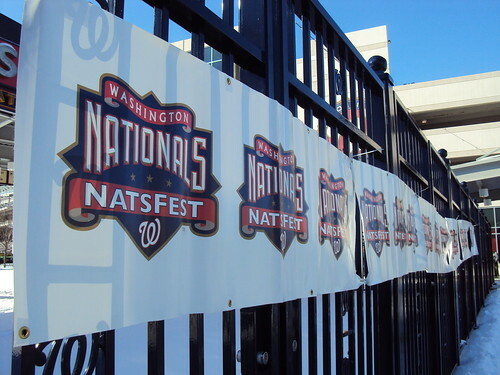 NatsFest will be in the Lexus Presidents Club, Red Porch, Stars & Stripes Club and in the Nationals Park Conference. General sale tickets go on sale TODAY (Wednesday, January 20) at 10 a.m. and are $10 for adults and $5 for kids. There are also ticketing options for season ticket holders here but will need to use a password provided to them via e-mail to redeem or purchase additional tickets.